A couple of Mondays ago it was raining cats and dogs. So, instead of taking Lucy to the “woods” for a walk–I push her up and down the hills at Breakheart Reservation in her umbrella stroller while she heckles me about why I’m huffing and puffing–yes, my 2-year-old heckles–we went to Joanns. Naturally. McCall’s patterns were $.70 each. No type-o there. As in, thirty cents less than a dollar, seventy cents more than free. In a recent push to make more of my garments (which may just be an excuse to buy more fabric, ahem) I made a plan for my fall wardrobe that involves a lot of sewing. And a lot of voile. More on this later, but I left the store with three patterns, two yards of linen-cotton blend, and some polyestery lining fabric. I wanted to make McCalls 6565, like, right away. 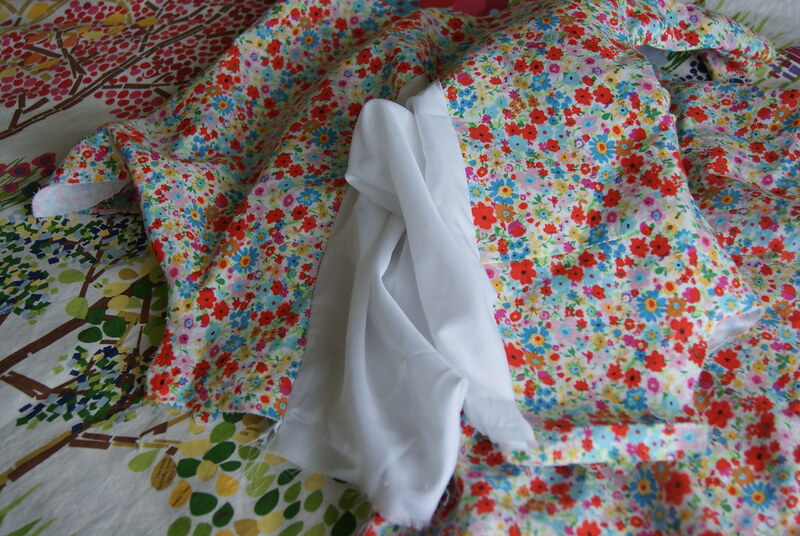 As things do, the fabric and the pattern sat for a couple of weeks. This past Monday, though, the day before I had jury duty (thankfully, a one-day affair) I decided to whip the top together and wear it to court the next day. Everything went fine, it’s a super-cute and smart pattern. And then I tried it on. And got stuck in it. I cut a size 8, but apparently needed a size 12 or so. (When I buy a fitted shirt at the mall, I usually buy a 6.) And I had to seam ripper myself out of the WIP. 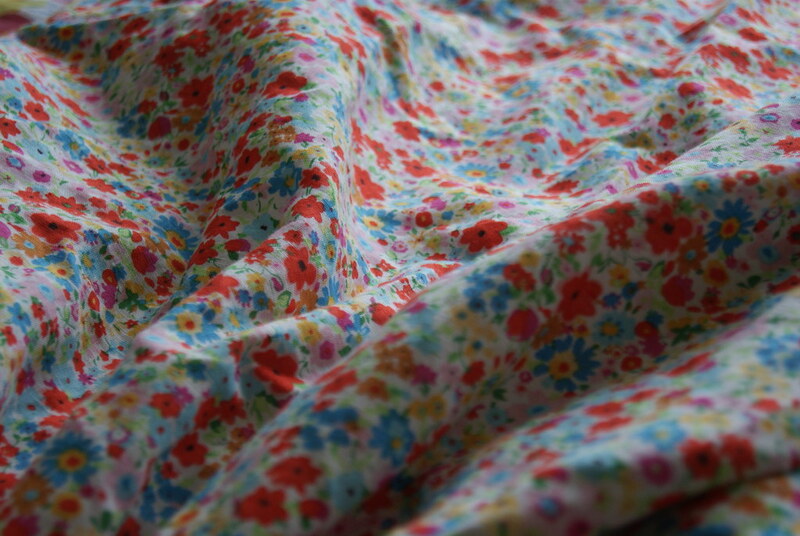 I haven’t touched it all week except to pet the pretty linen. I’m thinking I need to add a gusset to the facing/lining (the part that was actually too tight) and insert an invisible zipper in the side seam. This is reaching quite a bit out of my comfort zone. OK, part II, then I’ll tie this all together I hope. An email landed in my inbox from my professor friends who live in Phoenix and who are brand-new homeowners (!! hooray!!). 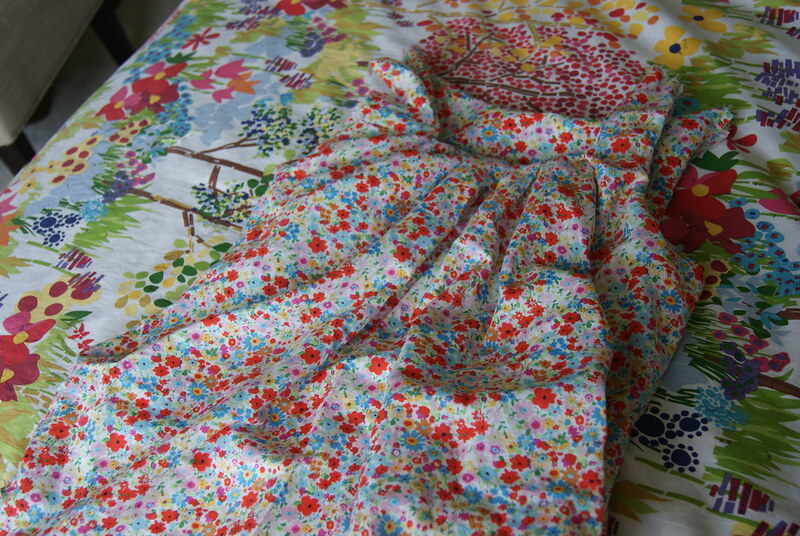 They asked me to design and sew two twin-size quilts for beds in their guest room. S (the wife) has a fabulous idea that the design should read across the tops of the two twin beds–like I’m designing a king-size quilt and breaking it up with borders so that the design falls correctly. The logistics of the design placement notwithstanding, this is a pretty challenging assignment for me. Since February, I’ve been trying to push myself to make quilts that are a little different. A little more “me.” This isn’t the easiest thing for me. It’s not the easiest for any of us, I think. It’s work! Designing a quilt is work. It doesn’t just fall out of the sky like divine inspiration. 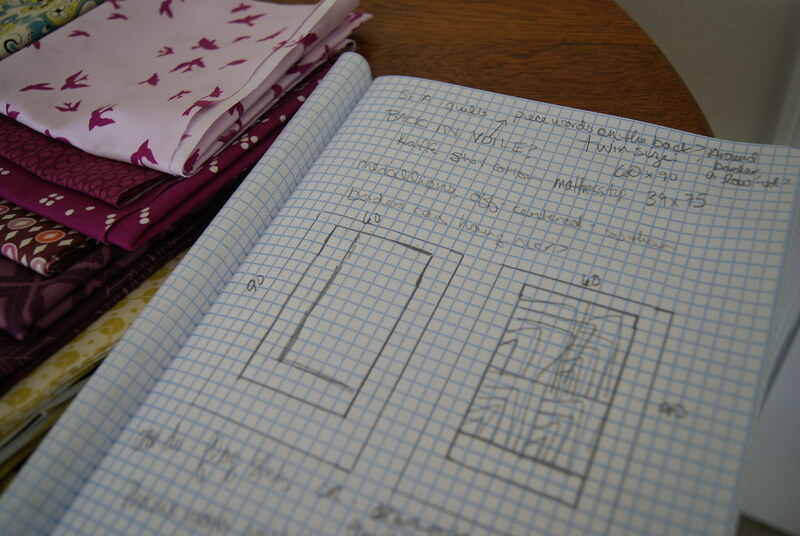 It’s sketching, and math, and how-much-yardage-to-buy. Oh but. 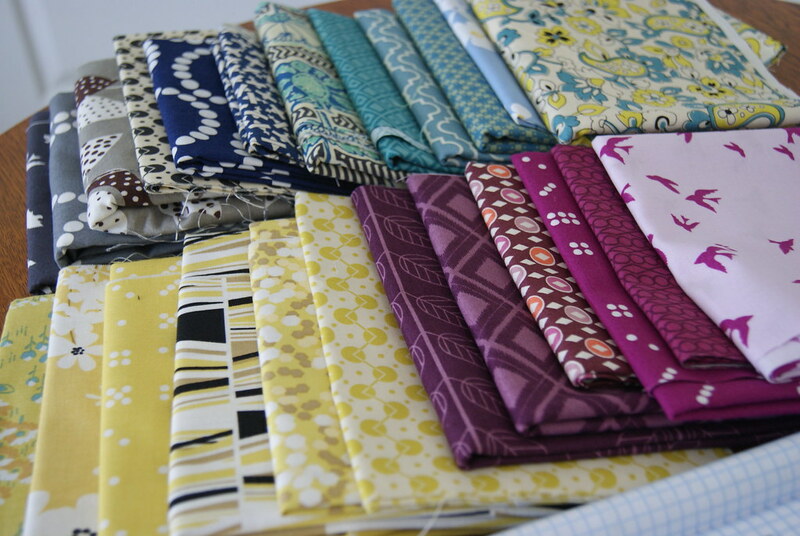 I can make me a fabric stack. And I can tell you that instead of being scared of designing these quilts, or of trying to solve my linen top crisis, I’m actually excited. I’m feeling challenged, in a really good way. Bring on this fall, bring on the challenges. I can’t wait to see what I come up with.